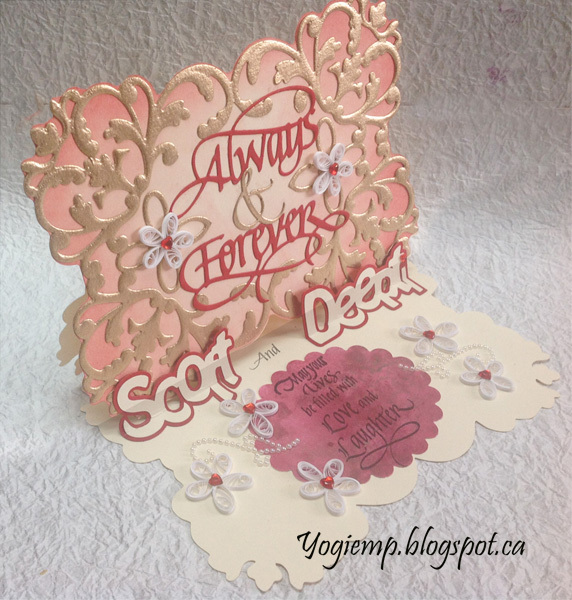 A friend asked me to think about making a wedding card and this is what I came up with... Love that Cuttlebug die cut. 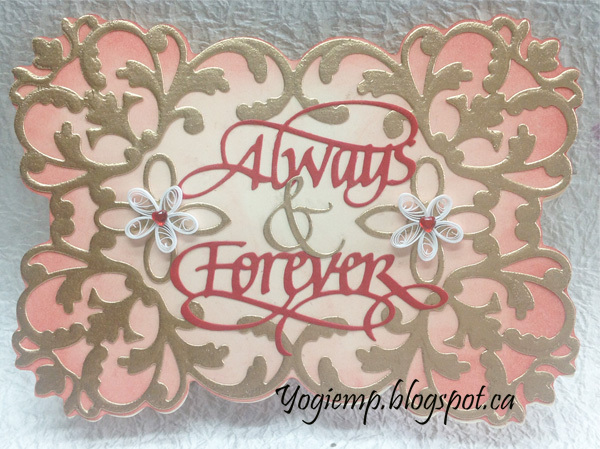 A super Wedding card and great quilled flowers and embossing. A beautiful shaped card. Thanks for joining our challenge. Elaine GDT for C.R.A.F.T. challenge. Loving the gold die cut it's beautiful. Thank you for joining us at the CRAFT challenge this week. What an amazing creation, the quilled flowers look gorgeous! A pretty quilled floral creation for our 'Flowers all Over' theme at Allsorts, many thanks for joining in. Those die cuts are gorgeous, what a beautiful card! Thank you for joining in with the Shabby Chic challenge at C.R.A.F.T. this week. Amazing card!! Thanks for joining Polkadoodles Crafting Challenge, and good luck! A beautiful wedding card. I love how it is personalised. A true memento. Thanks for sharing with us at My Time To Craft. Caz. DT.